Tropical Steel - Mustangs, Etc. Herds of vintage automobiles roam over the island of Cuba. Over 60,000 classic American cars are on the streets of Cuba each day, being used in everything from work hauling to taxi services. Before the revolution, Cuba's large middle class was purchasing up American automobiles as they were shipped en masse to the nation just off the coast of Florida. Since the United States placed an embargo on Cuba in 1960, its economy has struggled and their means of transportation has largely stayed the same. Although a small amount of cars were imported as time went on - mostly economy cars from China and the late Soviet Union - the amount of American mechanical history rolling around is striking. But the rides aren't the most luxurious. The majority of cars on the road in Cuba are held together by makeshift means. Without the ability to import parts from the cars' manufacturers in America, it's common to find bits from other brands and even equipment from other types of vehicles under the hood. Boat engines to tractor transmissions, chicken wire to twine. Many daily drivers are converted to diesel fuel, gasoline being so expensive there's even a black market for it. Poverty is high but the government has also placed tight restrictions. Most Cubans, making something along the lines of $20-30usd per month, don't have a car and about half of the vehicles are under government ownership. In 2006, political leader Fidel Castro stepped down and his brother, Raul, took office. His approach to leading the socialist nation has been seen as more willing to implement market-oriented economic policies. Before September of 2011, only cars manufactured before 1959 [pre-revolution] could be freely bought and sold among the people. New cars had been dispensed by the government via letters of authorization as well as subject to very high import and luxury taxes. The ingenuity involved in keeping the classic vehicles running is commendable. In 2015, President Obama took steps forward to heal relations between the close-by island nation and the United States. Many car enthusiasts have perked up at the thought of being able to hunt down their vintage dream car in the sea of old Detroit steel but the Cuban's are reluctant to let go of their relics. Since Fidel Castro's rise to power, the Cuban people have been encouraged to repurpose and work towards self-sufficiency when possible. A certain pride comes from their ability to keep the vehicles running. 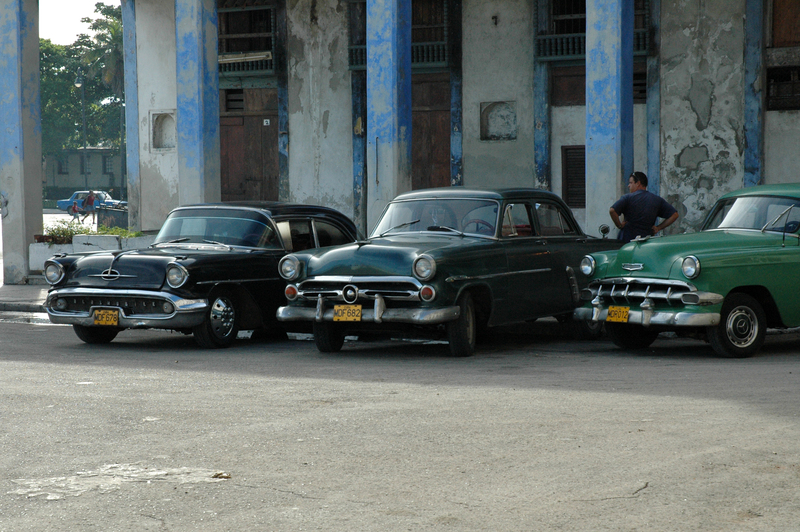 Cuba’s classic cars have become a symbol of the people's resourcefulness and part of their history.